A Russian warship is passing through the Panama Canal in Central America for the first time since 1944. The Admiral Chabanenko is on its way back to Russia after participating in military exercises with Venezuela's Navy in the Caribbean. The ship will stay in Panama for five days to take onboard supplies before heading to the Pacific Ocean. 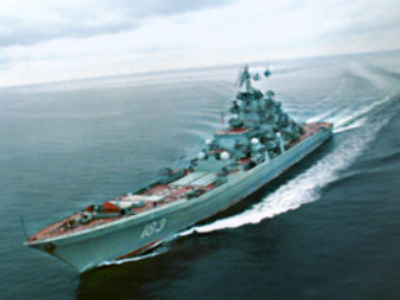 It marks a return to the region of Russian naval vessels. In 1944 four Soviet submarines passed through the canal.